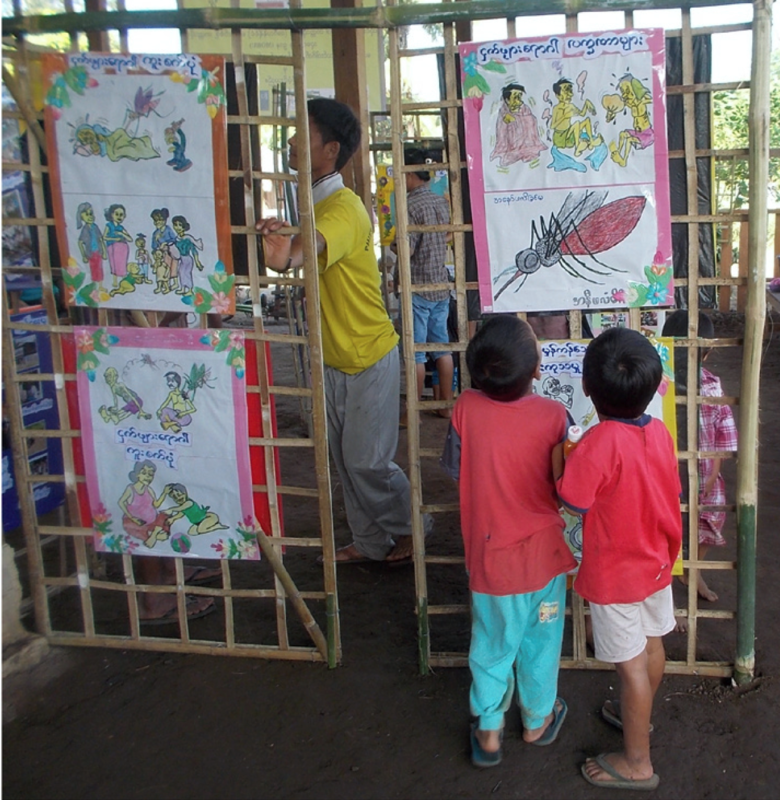 This article outlines Community Engagement efforts linked to a Targeted Malaria Elimination (TME) project in four Kayin State villages, in Myanmar where there is a real threat from the spread of drug resistant parasites. The Community Engagement programme was aimed at promoting population uptake and adherence to Mass drug administrations (MDA) in the region. Community engagement was also thought necessary to inform potential participants of the benefits and risks of MDA. The community engagement programme included targeted interactions with specific figureheads such as village and religious leaders as well as those with more generalised groups within the wider community from May 2013 to June 2015. The chosen villages were located in contested areas of Eastern Kayin State, which experience varying degrees of control from government and other influential armed groups. They can therefor not be considered cohesive communities. They are also not always easy to access especially during rainy seasons. Community Engagement teams consisted primarily of people local to the region who were of the same ethnic origin of the majority living in the area (Karen) and speakers of the languages used in the area. Activities included two-day educational workshops community leaders, village administers, religious figures and healthcare providers; household and school/youth orientated activities with existing community groups in communal gathering spots; House-to-house calls to non participants; exhibitions of maps, posters and art-works designed to communicate scientific concepts within the clinical space. Other lessons learnt touch upon things which were practical to this context. Authors advise recognizing seasonal weather and work patterns, having suitable transportation and using local languages as well as promoting the value of working through existing community structures, with young people and schools and exploring the use of more creative methods such as science theatres as well as more traditional methods of engagement.